Newly appointed Acting High Court Judge for the Commercial Division of the Eastern Caribbean Supreme Court His Lordship Mr. Justice Barry Leon was sworn in today. 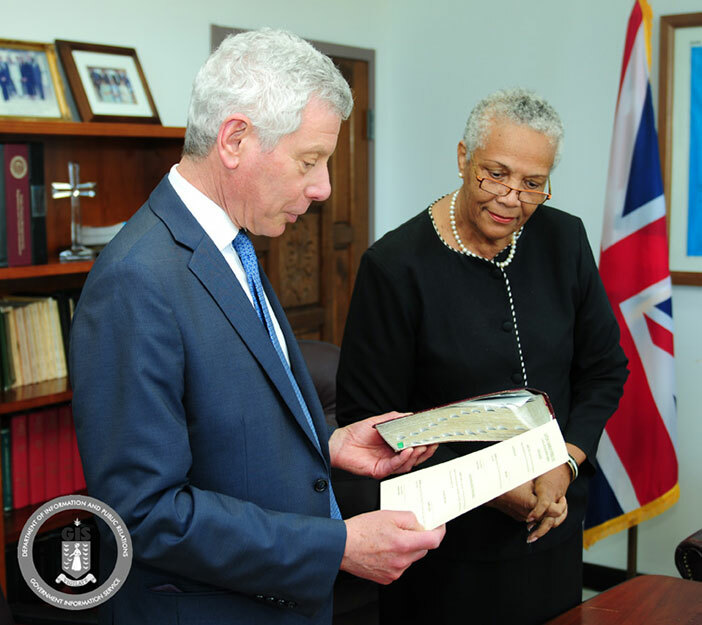 Judge Leon swore the Oath of Allegiance and the Oath for Due Execution of Office to Her Majesty the Queen in the presence of the Acting Governor, Mrs. V. Inez Archibald. He swore to be faithful and bear true allegiance to the Queen, her heirs and successors according to the law. Mr. Leon will preside over the Commercial Division of the High Court which is recognised as a world-class commercial court located in the British Virgin Islands. The court is applicable to six sovereign states and three United Kingdom Overseas Territories which comprise the judicial jurisdiction of the Organisation of the Eastern Caribbean States. He succeeds His Lordship the Honourable Mr. Justice Edward Banister QC, the first and only other Commercial Court Judge appointed to the position since the inception of the Court in October 2009. Justice Leon’s appointment is for a period of three years and takes effect on March 16. A special sitting of the High Court, Commercial Division will be heldtomorrow to welcome Justice Leon.